Bill Whisenand, age 74, of Giltner, passed away Monday, February 27, 2017, at his home. Funeral Services will be held 10:00 A.M., Saturday, March 4th at the United Methodist in Giltner. Pastor Mahlon Richardson will officiate. Interment will be in the Harvard Cemetery. Visitation will be from 5-7 P.M. on Friday at United Methodist Church, 418 N. Derby Ave, Giltner. Memorials may be made in care of the family to be designated at a later date. Higby-McQuiston Mortuary is in charge of arrangements. Condolences may be e-mailed to the family through the mortuary website at www.higbymortuary.com. 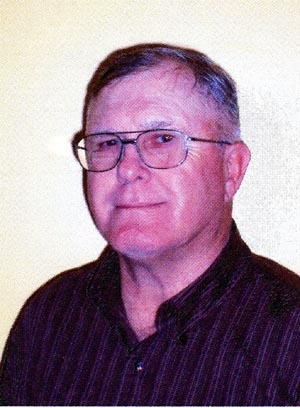 William ‘Bill’Ernest Whisenand, the son of Ernest and Pearl (Burmood) Whisenand, was born at Clay Center, Nebraska on September 13, 1942 and passed away in Giltner, Nebraska on February 27, 2017, at the age of 74. Bill grew up on a farm in rural Giltner and graduated from Giltner High School. Except for the year he served in the U.S. Navy from 1960-61, Bill lived his entire life on the farm in rural Giltner. Upon his return from the Navy, Bill attended CCC in Hastings. Bill was united in marriage to Phyllis Ilene Dryak on December 15, 1963. They lived on their farm near Giltner, where Bill was a lifelong farmer. He began working at IAMS (P&G) many years ago. Between those two occupations, he was always busy. Phyllis passed away on August 15, 2012. Bill was a member at Giltner United Methodist Church. He gained many, many friends along his way in life. Every person Bill met became his friend. Bill served his community by serving on the Giltner Public School Board. He was preceded in death by his parents; wife and infant son, Corwin David Whisenand. Those left to cherish his memory are his son, Arden (Jenny) Whisenand of Phillips; daughter; Adena (Dave) Kreutz of rural Aurora and 3 grandchildren, Tymothy and fiancé Yana Merunko, Dustin and Amanda Whisenand. He is also survived by a brother-in-law, Stanley (Karen) Dryak of Niobrara; 2 nephews, Marcus (Cheryl) Dryak & their two daughters, Melanie & Brooke and Brian (Stacy) Dryak & their son, Cole all of Omaha.